Photo taken in 2012. The preservation group Palo Alto Stanford Heritage says the Spanish colonial-style building on Cowper Street was originally designed for a Levi Strauss heir. A Google executive paid $30 million to become the proud owner of a landmark Palo Alto home. It’s reportedly the highest price paid for a house in the city. The preservation group Palo Alto Stanford Heritage says the Spanish colonial-style building on Cowper Street was originally designed for a Levi Strauss heir. 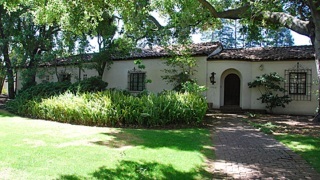 The realtor says they are not surprised by the price because there are only a few other properties in Palo Alto as big. The nearly 5,000-square-foot house sits on about an acre of land.